Santa Clara County's Environmental Health Department received 14 complaints about the case last spring. A Bay Area community is battling noise in the night. People in Cupertino claim the noise is coming from a cement plant just outside city limits. Residents in response are hoping to gather evidence to force the cement plant to turn down the volume. 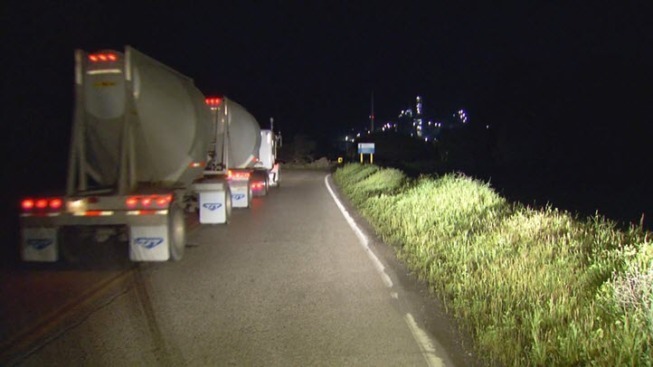 Late Friday, trucks rumbled in and out of the Lehigh Cement Plant, near Cupertino. But for the past year, neighbors said there is a particular sound coming from the cement plant that has kept them awake at night. Gary Ettinger, who lives a mile from the cement plant, said nothing has been done since the department received those complaints. Cupertino Mayor Barry Chang thinks the plant may be in violation of local noise ordinances. "To me the sleep of engineers is more important than a cement plant," Chang said. NBC Bay Area was unable to reach Lehigh for comment. But the company has reportedly attributed the noise to a new exhaust stack and fan installed last March.